Here in the US, we had a momentous decision to make marriage legal for every person, regardless of sexual orientation. While we lag behind 17 other countries (I think), nothing has ever made me more proud of my country and more proud to be American. Love Wins! This has nothing to do with what I am blogging today, but I can’t not acknowledge my joy! What I am blogging today is another mesh head, this one from Melania, available at a new to me event, Famous Station. Her name is Liu Wen, and she’s available in one tone. There are actually 6 different heads in your pack, each with a different emote, ranging from smirk to smile. The head also comes with appliers for Maitreya Lara and Slink hands and feet. This is very smart, because it makes it easy to wear – and more creators releasing mesh heads should do this. There is no barrier to trying a head if it already comes with every basic applier you need. I like the head very much in terms of raw beauty. It can only be worn with mesh eyes (with LeLutka for example, you can choose your eye type and wear the associated alpha). I could not get my usual eyes to work here so I asked the creator for guidance. She suggested Song or Ikon. I’m wearing pitch eyes by Song here. I would have liked some eyelashes included, so I didn’t have to fit a pair (I am lazy! 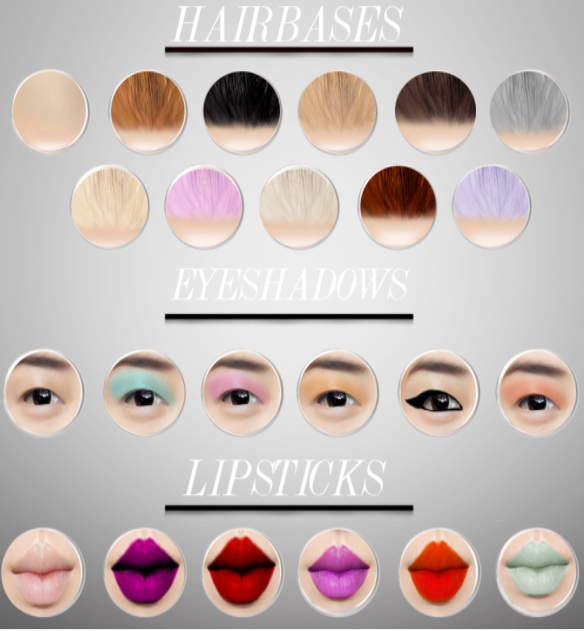 ), and some more makeup choices.